Kemaro Island, is a little on the Musi River Delta, located about 6 km from the Ampera Bridge. 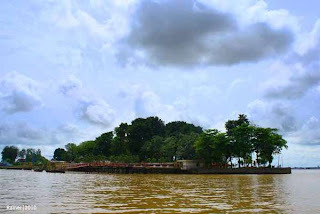 Kemaro island located in the industrial area, which is in between Sriwijaya Fertilizer Plant and Pertamina Plaju and Gerong River. 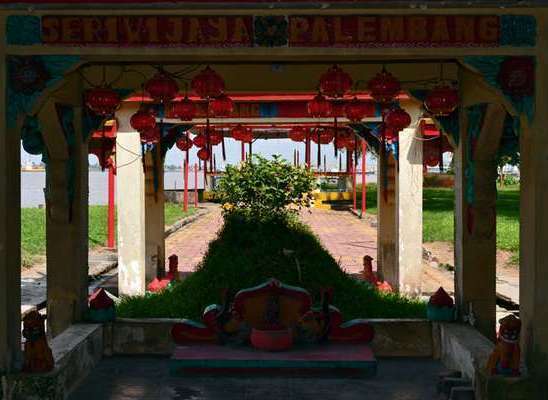 When set foot on this island, you can feel a thick Chinese. 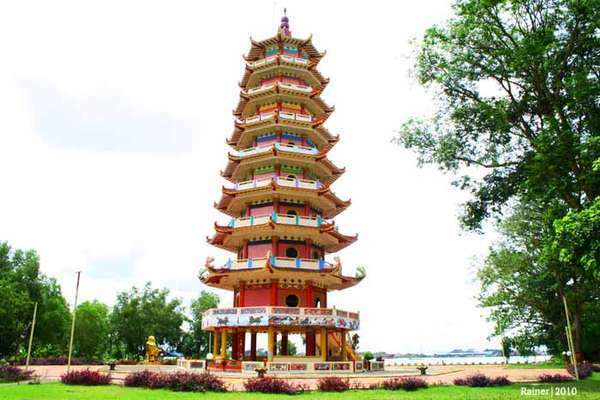 It can be seen from the 9-story pagoda towering in the middle of the island. The new building was built in 2006. 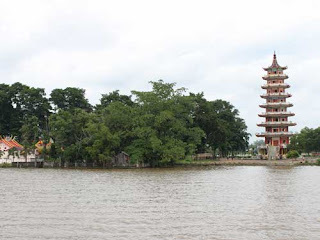 In addition there is a pagoda pagoda that was once there. 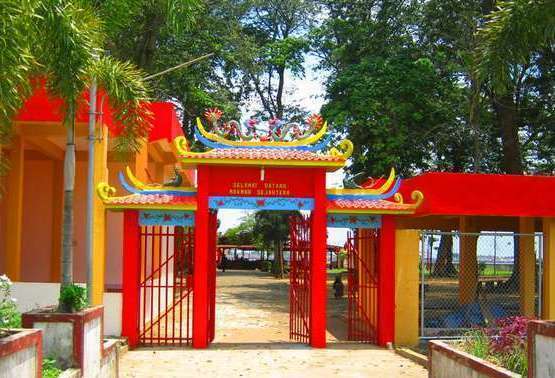 Soei Goeat Kiong temple or better known as Kuan Im temple built since 1962. In front of the temple there is the tomb of Tan Bun An (Prince) and Siti Fatimah (Daughter) are side by side. They both love story that became a legend this island formation. Besides this place also there is a tree called the "Tree of Love" is denoted as the rite of "True Love" between the two nations and two different cultures in ancient times between Siti Fatimah daughter of Sriwijaya and Tan Bun An Interior Prince of China, it is said , if there are couples who carve their names in the trees then their relationship will continue until the level of marriage. For this reason the island is also referred to as the Island Houses. It is said that there is a legend tragic love story. 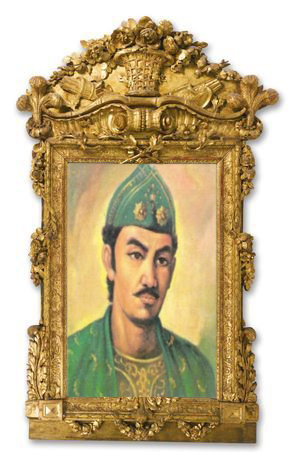 Quoted from the official website of South Sumatra Province, Thursday (07/02/2013), this legend tells about the love story between the daughter of King Palembang, Siti Fatimah with a rich merchant prince home country as well as China, Tan Bun Ann. Both are in love and agree to marry. Siti Fatimah Tan Bun stipulating on Ann to provide 9 jars filled with gold. Tan Bun Ann then sent one of his bodyguards return to China to ask for gold and blessing to her parents. Of course, the request is granted parental Tan Bun Ann. To keep the gold from pirates, the gold covered jar with pickled mustard greens. Arriving near the island Kemaro, Tan Bun Ann compelled to examine the contents of the urn. View contents only pickled mustard greens, he was upset and throw the jars into the river. However, he threw the jar is accidentally broken. That's where he saw the gold pieces. Tan Bun Ann was surprised to see it. He was very sorry for late notice. Ordered the police to take back the jars that have been drowned in the River Musi. However, the guards actually drowning. Finally, Tan Bun Ann decided to plunge into the river and look for the jars. Naas, he also drowned in the River Musi. To hear what happened to her future husband, Siti Fatimah took the initiative to jump with the intention of helping. He said, "If there is soil that grows on the banks of the river, so that's where my grave." Turns and Siti Fatimah Tan Bun Ann had never come to the surface. Soon, there are two mounds of earth is believed to be the tomb of Siti Fatimah and Tan Bun Ann. To commemorate them, made a grave both Kemaro Island. Not to forget, in this area there is also a love tree. 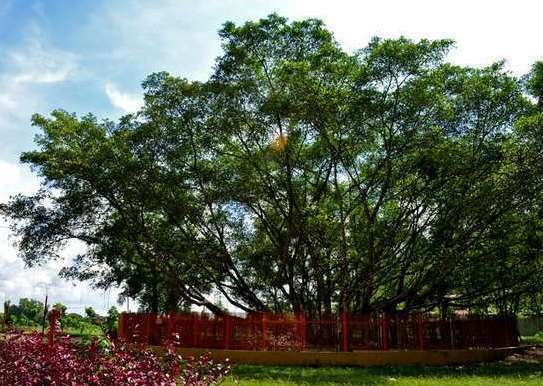 This love is a tree that is quite old banyan with very dense branches. That said, if someone wrote her name and her partner in the tree, then the fabric of their love will be more lasting. To get to the island, the traveler must travel approximately 20 minutes. 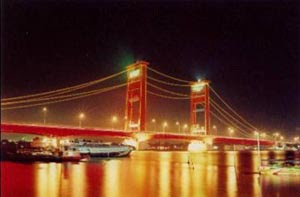 Journey in starting a small pier in front Kuto Besak. The island will be crowded and tourists during Chinese New Year celebrations Cap Go Meh, especially for the traveler of Chinese descent.